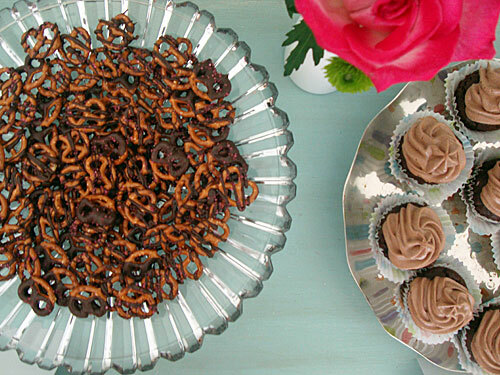 For the past month, a couple of us have been planning a double baby shower for two friends. On Saturday, we were able to see all the planning come together, shower the mommies with love, a few gifts, and celebrate life! 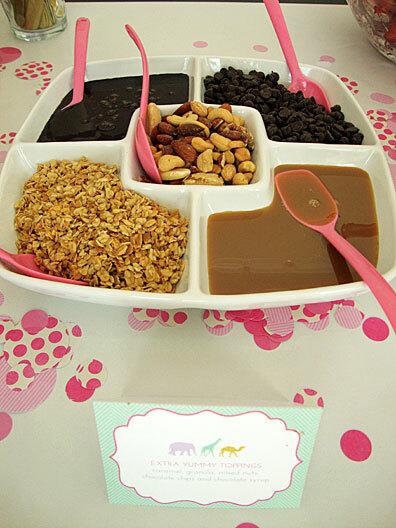 The baby shower was at my house and since the timing of the shower was between lunch and dinner, we decided to go with light, simple food..... a yogurt bar was the perfect solution! 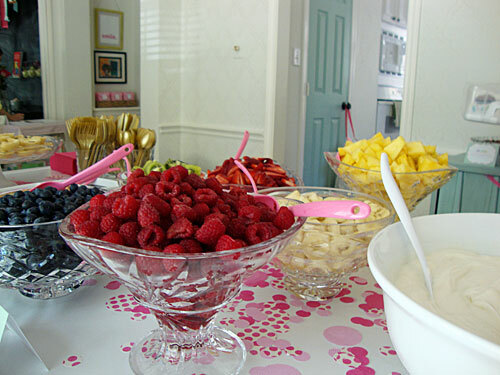 The yogurt bar included bowls of fruit and extra yummy toppings (we also added mini quiches and a dessert table). 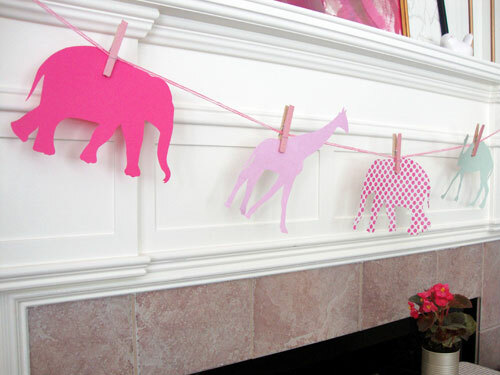 One mom's baby nursery is designed with animals and the other mom adores girly colors, so we agreed to decorate for the shower using animal silhouettes and a variety of pink colors. 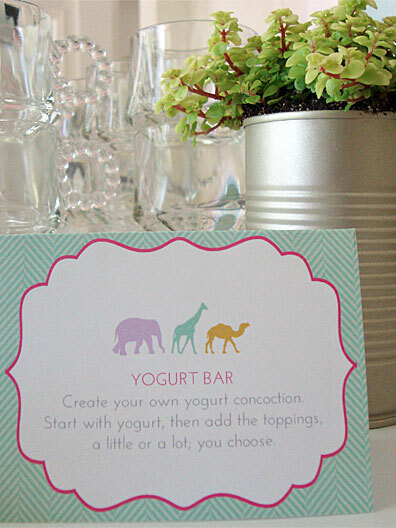 We spread tons of pink dots in several shades and sizes all over the yogurt bar (we used scrapbook paper and a circle craft punch to make the dots). 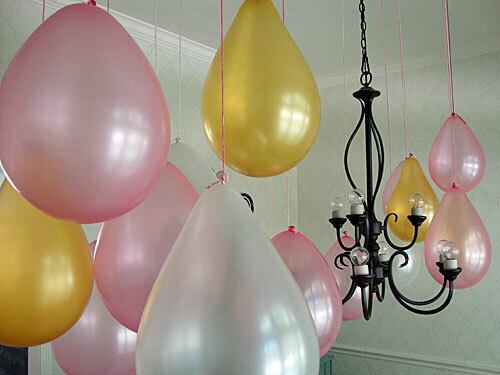 Hanging over all that sweetness were pink, white and gold balloons. Yarn was knotted on the end of each balloon and the opposite end of the string was taped to the ceiling. 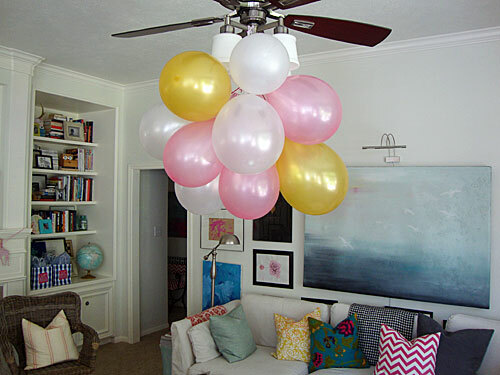 We also added balloons in the living room, several balloons were bunched together (held by string) and hung from the ceiling light. 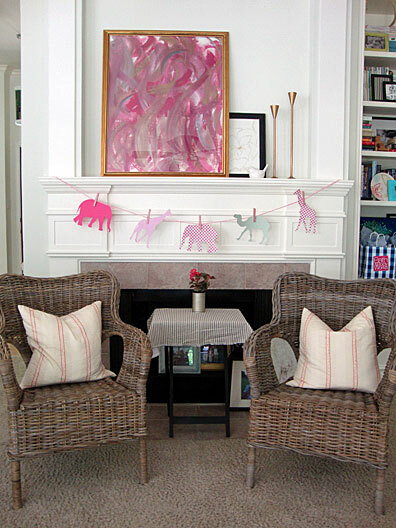 A banner of animal silhouettes attached to yarn with clothespins covered in washi tape was hung across the fireplace mantel (this is also where the two mommies sat while opening gifts). 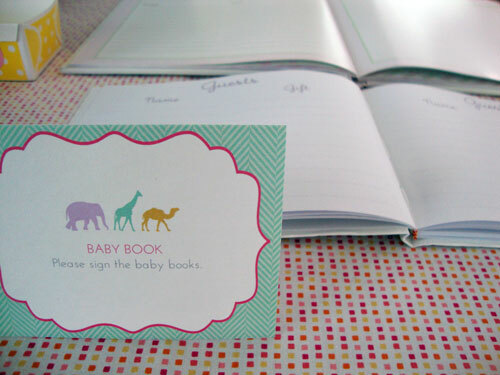 There were a few things around the house to keep guests busy and talking.... on the entry table was a place to sign the baby books and address envelopes (to make it easier for the moms when writing thank you cards). 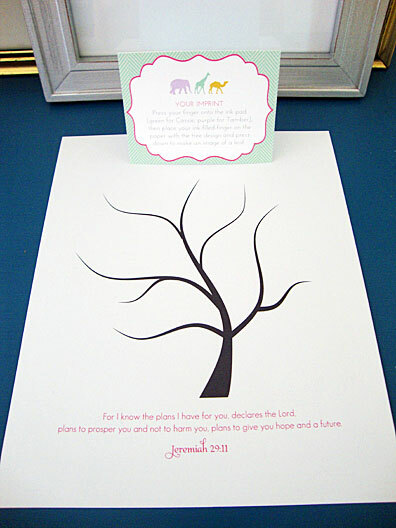 We also had a Bible verse and tree with bare branches printed on paper for each guest to stamp their thumbprint in an image of a leaf. We used green ink for this tree (sorry no after picture) and purple ink for the other mom's tree. This was later framed and given to the mommies. 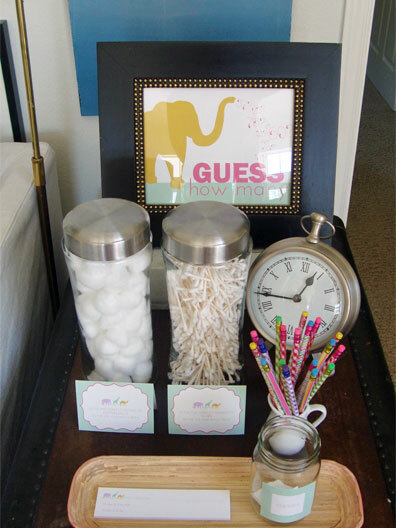 On another table, there was a guessing game.... how many q-tips and cotton balls? 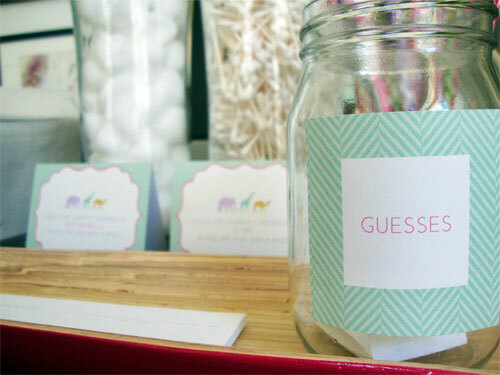 The guests filled in the blank and dropped their prayer card into a jar that the mommy took home. The baby shower was a lot of fun and I know the moms were blessed. 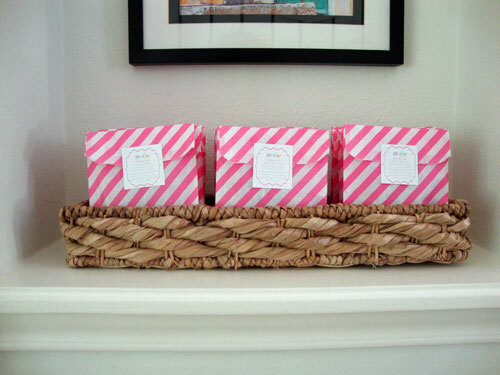 Inside the pink and white striped bag was a bird feeder (I used this tutorial, just like for the Star Wars birthday party and Easter gift). 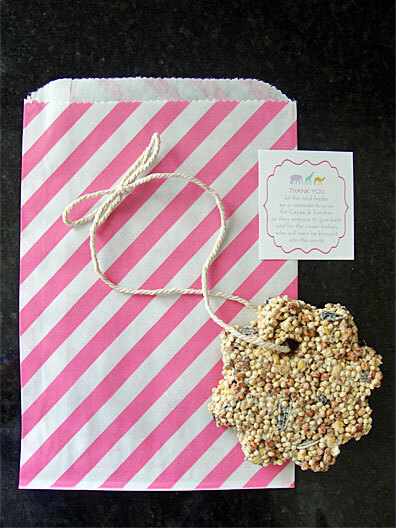 The gift bag was sealed with a reminder to pray for the mommies and babies each time they see their hanging bird feeder. 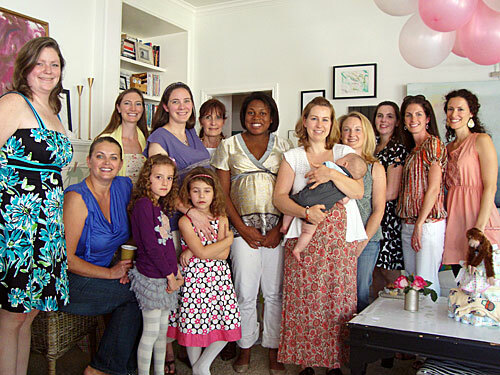 I love baby showers... the planning and work definitely pays off when you see a mommy smile. And of course, I also love after the shower too because leftovers surround the house and my kitchen table holds these goodies (thanks Amber!)! 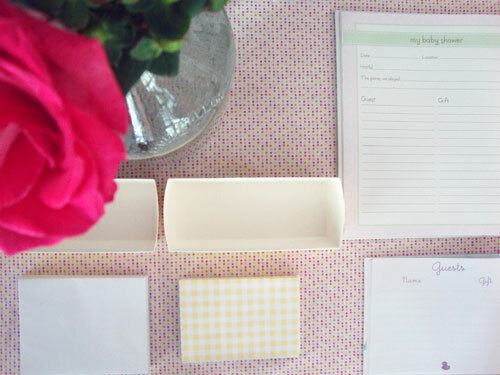 If you love shopping for a party, here's a few of the shops where I found lovely supplies for this party (I am not paid to link their sites, I purchase my supplies for actual cost, I just honestly love their products and service): Sweet Lulu, Cute Tape, Paper & Present (on Etsy). And later this week (or next), I'll make several of the graphics I created for this baby shower available to you for free! Keep a lookout and enjoy your week! 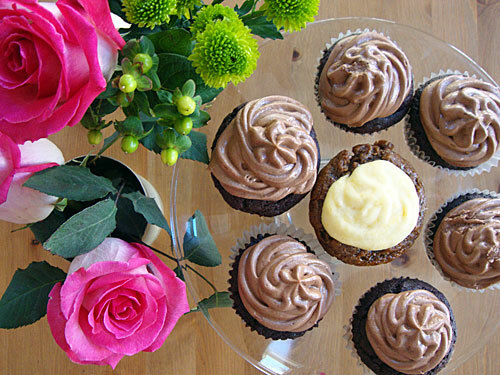 Me and my son loves cupcakes this is extremely delicious! LOVELY! 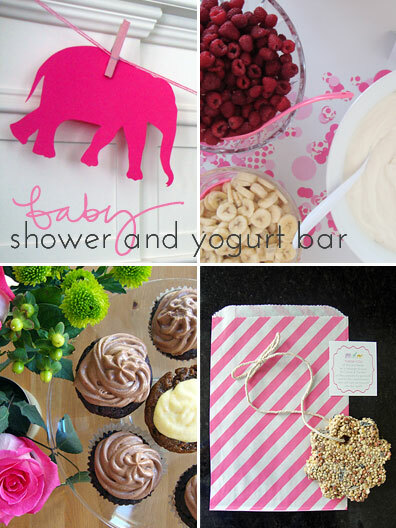 i wish i had a baby shower to throw..and copy your ideas! Adorable shower! I love the use of pattern in the decorations. Beautiful baby shower. Thanks for sharing. Oh! Wow! I am liking this post so much. 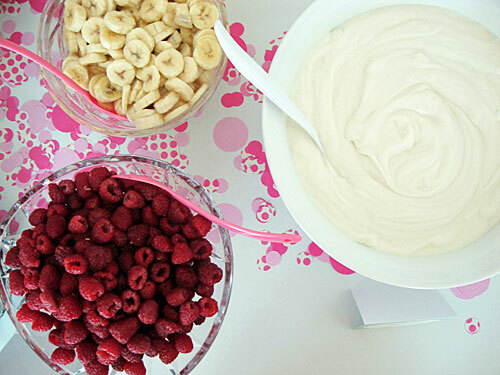 It is making my mouth watery. 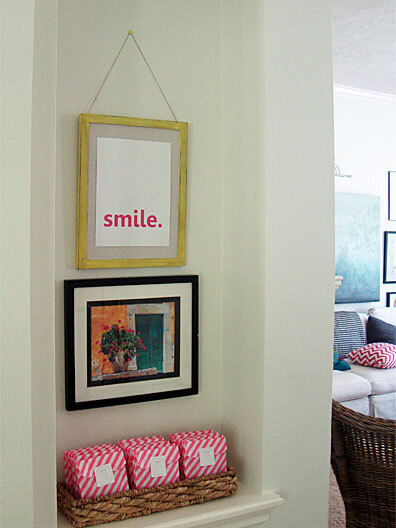 I simply loved the decoration, it is simple and looks really pretty. 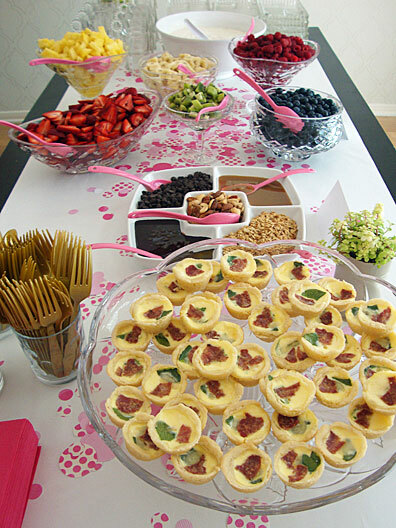 I wish I could also celebrate my daughter’s birthday at home but we are moving that day and I will have to look for one of the finest Los Angeles event venues for the party. It was wonderful going through this post.